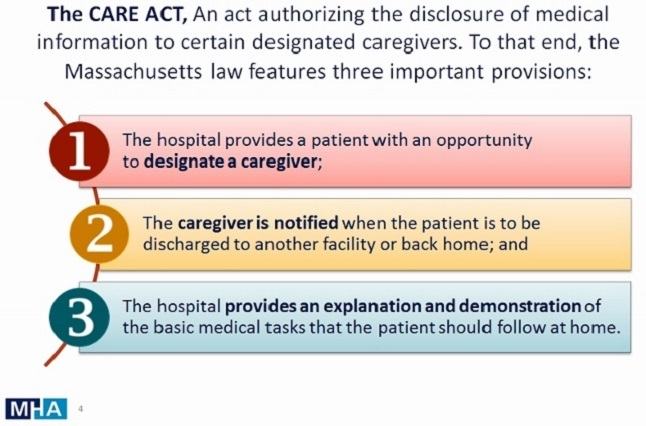 In Massachusetts, all patients with serious advancing illness have a legal right to receive information about their medical conditions, their likely outcome ("prognosis"), and their full range of options for care. This enables patients or their advocates to make informed decisions about healthcare choices that reflect each person's goals, values, wishes, and needs. This guide outlines the types of choices that patients have when they're going through treatment for a serious, life-limiting illness. The DPH Know Your Choices materials, which are available in 10 languages (Arabic, Cape Verdean, Chinese, English, Haitian Creole, Khmer, Portuguese, Russian, Spanish, and Vietnamese), are all posted on DPH's website (www.mass.gov/dph/eol). 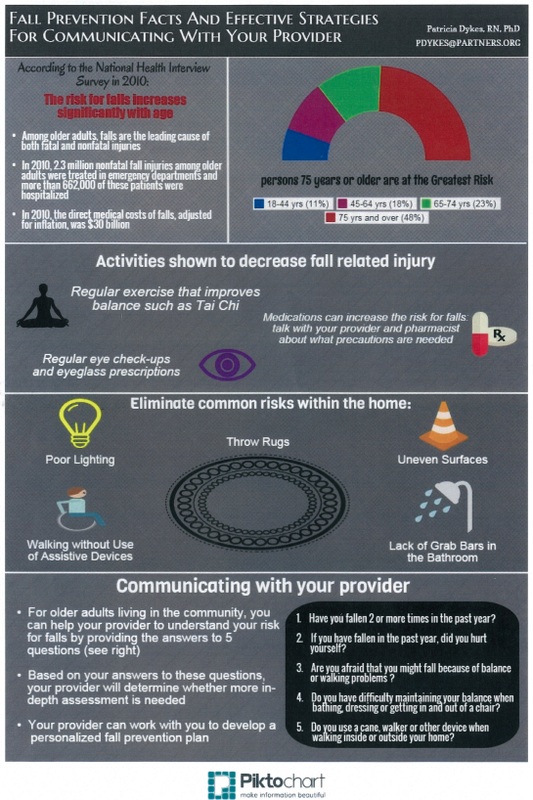 The purpose of this guide is to provide evidence based information for older adults, family members and health care providers for seniors in the area of falls prevention. 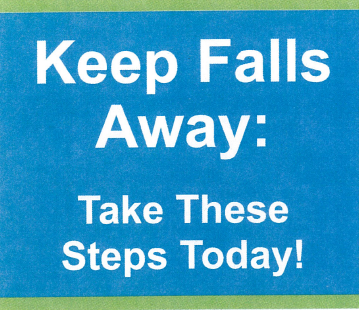 The goal is to raise awareness of known risk factors for falls in older adults and practical steps for reducing these risks. Falls in older adults are most often due to multiple risk factors, but these risk factors are different for each older adult. 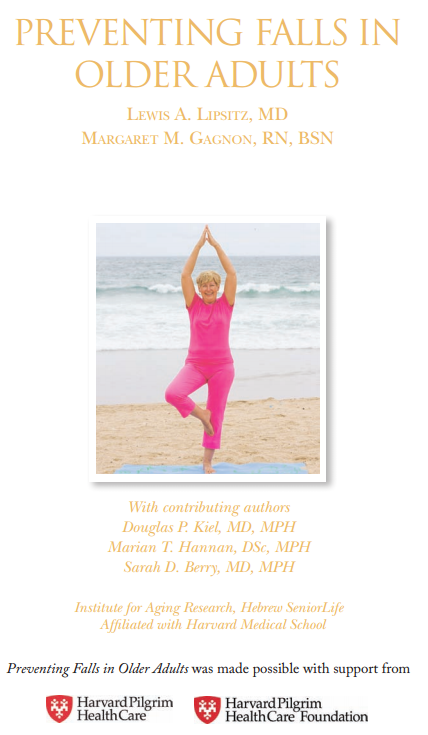 Therefore, this guide can be used as a communication tool between older adults and their health care practitioners to identify the individual fall risk factors present and develop an individualized plan to reduce these risks. Finally, this guide identifies other resources available for older adults and their caregivers to obtain additional information about fall risk reduction and fall prevention. A short, easy-to-read brochure with tips to help patients be prepared before, during, and after medical appointments. Seven minute waiting room video that features patients and clinicians discussing the importance of asking questions and sharing information. Notepads to help patients prioritize their questions before their visit. Learn more at Questions Are the Answer, Tips & Tools. This hospital is a member of the Partnership for Patients, a nationwide effort to improve safety for patients in 3,700 hospitals across the country. and need for readmission to the hospital, with an estimated cost savings of $35 billion from 2011-2014. 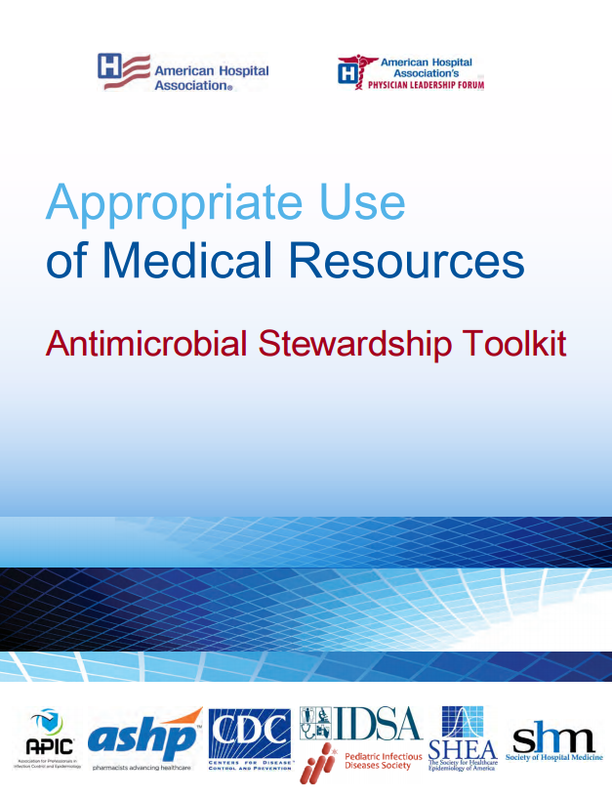 The American Hospital Association (AHA), along with six national partners, this week released a toolkit to help hospitals and health systems enhance their antimicrobial stewardship programs. The toolkit includes resources for hospital leaders, clinicians and patients, starting with a tool developed by the Centers for Disease Control and Prevention (CDC) to help hospitals assess their readiness for optimal antibiotic prescribing and use.